Your first layer is the first step to being mountain ready, and the Vallee Blanche Originals Warm Base layer shirt for men provides peak performance and protection, in a choice of styles and colours. 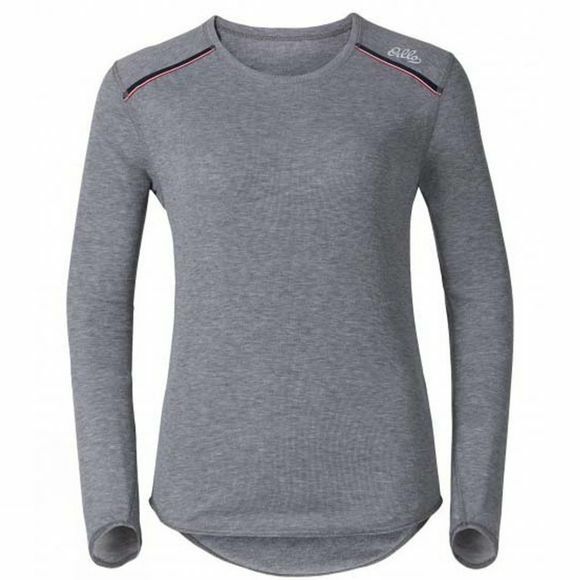 In addition to being packed with high-tech features, like all of Odlo’s premium undergarments, this crew necked base layer is made with brushed fabric that gives you excellent thermal insulation in the coldest of conditions, while optimal moisture management keeps your skin bone-dry all day long. Choose between plain grey and navy or go for the smart navy with thin contrasting horizontal stripes. Each features a smart four-button neck design detail and is made with super soft warm effect material that ensures you perform as good as you look. A longer cut at the back of the top prevents your lower back from being exposed when you’re crouched down slopes at maximum speed. What’s more, there’s no need for sweat concerns even when exerting maximum effort, thanks to Effect by Odlo – fibres within the garment that genuinely inhibit odours. Style, warmth, comfort and performance are all at optimum level, so let your first layer set the tone and reach new heights on the mountains.